Microsoft OneDrive is a cloud hosted system and while its use is optional, all usage must comply with Western's Computing, Technology & Information Resources Policy and Data Classification Standards. The OnCampus OneDrive that was available to faculty and staff prior to the cloud version being available will be shut down soon. More information on timelines, etc. will be posted as the information becomes available. 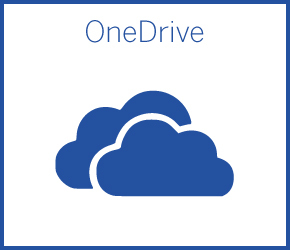 OneDrive is available to all faculty, staff, and students through Western's Office 365 Microsoft Campus Agreement. OneDrive is 1 TB of online storage in the Microsoft cloud where you can save, store, sync, and share files with the tools you use every day to create, communicate, and collaborate from your PC/Mac or your iOS®, Android™, or Windows device. Files can be created and modified with version tracking and file collaboration.